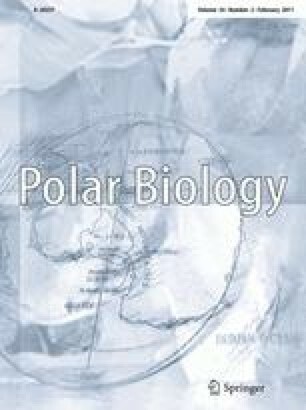 Studies have shown that killer whale (Orcinus orca) communities in high latitudes regularly comprise assemblages of sympatric ‘ecotypes’—forms that differ in morphology, behavior, and prey preferences. Although they can appear superficially similar, recent genetic evidence suggests that breeding is assortative among ecotypes within individual communities, and species-level divergences are inferred in some cases. Here, we provide information on a recently recognized ‘type D’ killer whale based on photographs of a 1955 mass stranding in New Zealand and our own six at-sea sightings since 2004. It is the most distinctive-looking form of killer whale that we know of, immediately recognizable by its extremely small white eye patch. Its geographic range appears to be circumglobal in subantarctic waters between latitudes 40°S and 60°S. School sizes are relatively large (mean 17.6; range 9–35; n = 7), and although nothing is known about the type D diet, it is suspected to include fish because groups have been photographed around longline vessels where they reportedly depredate Patagonian toothfish (Dissostichus eleginoides). We thank Paul Ensor, Nicolas Gasco, Heidi Krajewsky and Audrey Scott for assistance in the field and Anton van Helden for providing details about the 1955 stranding. The data for the 2006 sighting was collected during an International Whaling Commission minke whale assessment cruise in Antarctica; we thank IWC for permission to use the data. This manuscript benefited from the comments of John Ford and an anonymous reviewer.